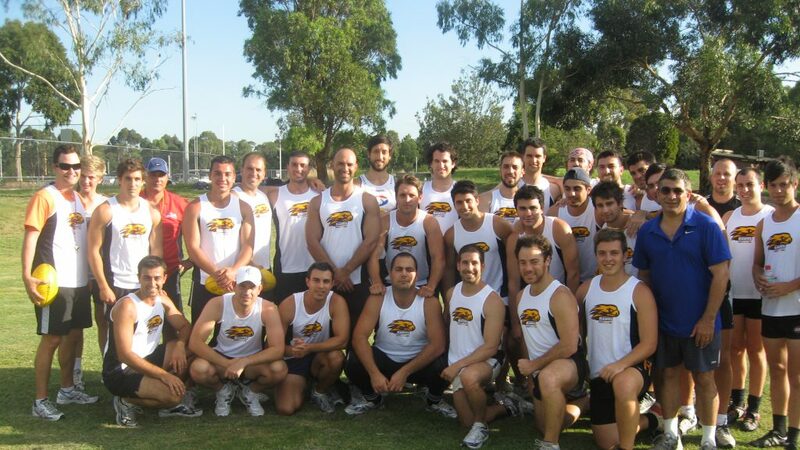 The Hawthorn Spartans are making a name for themselves in the AFL world as a successful Greek Australian team. This is Sparta!” is a battle cry that we would not expect to emanate from a three quarter time huddle in an Australian Rules match, but the Hawthorn Spartans are defying expectations. Founded as the thirds team of the Hawthorn Amateur Football Club, the Spartans are a predominately Greek Australian based footy club in Melbourne’s inner East suburbs. With support from the AFL’s Multicultural Program and supporters who include Collingwood legend Peter Daicos, the Spartans are attracting not only members of the football fraternity, but also Greek Australian businesses keen to sponsor the club. “The AFL has provided some basic resources for the team, such as drink bottles, and we could see further support during the year,” says Anthony Demetriou. The Spartans are tied in with the Hawthorn Amateurs Football Club. “They have seniors and reserves,” Demetriou explains. Having attracted the attention of one of the vice-captains of the Greek Team of the Century, fans attending Spartans matches may become accustomed to seeing Collingwood legend Peter Daicos supporting the Spartans. Ari Mitropoulos says the ex-Magpie forward could have some on-field involvement. “Peter has attended training and assisted the team. His son Josh has trained with the team on a number on occasions. Peter has also requested, when available, to be the runner for the team,” Mitropoulos explained. Con Terzoglou says that “approximately 90%” of the Spartans have Greek blood. With so many Greeks in the squad, the Spartans face a unique issue, which surely very few other Australian Rules sides would be forced to endure. Terzoglou explains. “A lot of the boys are doing the J.M.E (July Mykonos Exodus) so this will form our end of season trip in the middle of the season,” he jokes. A visit to www.hawthornspartans.com.au will reveal that the Spartans have attracted some great support from Greek organisations and businesses. So far our sponsors include The Greek Deli, GDF Partners, Global Travellers, Bill Papastergiadis, Albert Park Deli, Nikos Quality Cakes, Rrent Property Managers, Sovereign Events, Riversdale Orthodontics and we have more to come,” says Andrew Toumbakis. With the Spartans reach seemingly extending beyond to the wider Greek Australian community, fans will undoubtedly hope that some former Greek Australian AFL stars could line-up for the Spartans. Toumbakis is coy but hopeful. “Not at this stage, he begins. “But we are hoping to work on one in the future. Who knows? Maybe a Kouta (Greek Team of the Century) or Christou might make a guest appearance, but for the time being one of our co- captains Anthony Demetriou is the nephew of AFL CEO Andrew Demetriou. Visit the Spartans website to see numerous pictures of the boys in action, and any individuals or businesses interested in discussing sponsorship can contact the team’s accountat George Demetriou CPA on (03) 9553-1511 or 0409 022 909.